Students new to phenomenological psychology often ask me what is the difference between Clark Moustakas’ and Amedeo Giorgi’s research methods, since both approaches are called “phenomenological.” In fact, there are major differences. In this post, I’ll examine Moustakas’ Phenomenological Research Methods (1994) from the perspective of Husserl and Merleau-Ponty’s phenomenological philosophy. Naturally, I’ll also be speaking as someone grounded in Giorgi’s descriptive phenomenological psychological method (1970, 2009). Moustakas and Giorgi seek to develop qualitative research approaches that do justice to the human subject. They each make the claim that their methods are based upon Husserl’s phenomenological philosophy. Hence, both offer adaptations of Husserl’s philosophy for psychology. However, Moustakas seeks to articulate what he terms a “transcendental phenomenological” approach while Giorgi presents an empirical-psychological approach. I would argue that a close reading of Phenomenological Research Methods (1994) reveals that Moustakas’ approach is not grounded in a good grasp of Husserl’s work—something a phenomenological philosopher would quickly realize in reviewing the book. As a result, Moustakas’ renderings of key phenomenological terms like transcendental subjectivity, the reduction, and the epoché are inconsistent with Husserl’s work, as is his account of the critical distinction Husserl makes between the empirical and transcendental ego. I think Moustakas’ 1994 book is best regarded as representing his own approach to working with people, one based upon a humanistic therapeutic perspective, rather than one well-grounded in Husserl’s philosophy. Moustakas’ statement that his approach not only follows Husserl but is at the same time “heuristic” suggests that Husserl is more a source of inspiration for Moustakas than an actual epistemological foundation. Examples of misreadings include Moustakas’ equating of transcendental subjectivity with presuppositionlessness (p. 60) and his description of the epoché and reduction as nothing more than the setting aside of personal prejudices. Moustakas describes the phenomenologist’s research attitude in the following way: “presumably this person has set aside biases and has come to a place of readiness to gaze on whatever appears and to remain with that phenomenon until it is understood, until a perceptual closure is realized” (p. 73). Moustakas emphasizes that in phenomenological research, “I, the experiencing person, remain present. I, as a conscious person, am not set aside” and “with an open, transcendental consciousness, I carry out the Epoché” (p. 87). There is enough similarity between this representation and Husserl’s words for a beginning student to assume Husserl’s phenomenology is being carefully read and applied. Yet, for one better-acquainted with Husserl’s writings, problems are immediately evident, as will be seen. The first difficulty is that Moustakas neglects Husserl’s critical distinctions between the various modes of subjectivity, as well as between various types of phenomenological reductions. And whereas these are philosophical distinctions, they are fundamental to understanding what is meant by a “phenomenological attitude,” and therefore central for adapting Husserl’s philosophy for psychological research. The heart of the matter is this: for Husserl, the empirical and transcendental modes of subjectivity are embodied in the same locus: the individual human being. However, Husserl does not intend to suggest that the transcendental “I” is merely the familiar “me” of everyday life, but with a more humanistic, open-minded attitude, as Moustakas’ formulation implies. This would mean that we can “become” transcendental subjects merely by reflecting and setting aside biases—in other words, Moustakas reduces Husserl’s sense of the transcendental to something like “becoming a more enlightened person”—a plain misreading of Husserl. Though this appears to be a more easily understood, humanistically-rendered version of phenomenology, it contains important flaws. First and foremost, for Moustakas, transcendental subjectivity represents an achievement of the empirical ego. As a result, Moustakas collapses the transcendental into the empirical: he wants to say that the researcher remains present as the person that he or she is, and that he or she has or adds a “transcendental consciousness” to their personal presence by setting aside biases. Hence, he claims that once a researcher has “achieved” transcendental consciousness, then “the perceiving self is an authentic self…the self is actually present” (p. 61). Revealingly, he uses clinical examples to illustrate what he means by authentic presence, and it is tempting to conclude that Moustakas is seeking a clinical and humanistic appropriation of Husserl’s philosophy in order to represent it as a means of self-actualization. But this raises the question: is the interpretation sustainable? In other words, is it compatible with Husserl’s phenomenology? Or instead, it is more accurately viewed as a humanistic, clinical approach to research that isn’t—and perhaps need not be—based upon phenomenology? In Husserl’s philosophy transcendental subjectivity is not an achievement of the empirical ego. For Husserl, transcendental subjectivity is a non-personal mode of consciousness—not an accomplishment of empirical (personal) subjectivity. As Erazim Kohák wrote, “I can and indeed must bracket myself as what Husserl will later call a ‘natural subject’” (1978, p. 45). In fact, Husserl wrote that once the epoché has been effected, “I am not an ego” in the sense of an empirical I (1970, p. 184). The researcher loses the validity (facticity) of the natural attitude and must suspend the “distinction and ordering of the personal pronouns,” since the facticity of I-the-man, you, we, etc., has all been rendered phenomenal, not real. Hence, Husserl wrote: “The ‘I’ that I attain in the epoché…is actually called ‘I’ only by equivocation—though it is an essential equivocation since, when I name it in reflection, I can say nothing other than: it is I who practice the epoché, I who interrogate, as phenomenon, the world…[as] ego-pole of this transcendental life” (1970, p. 184). This bare ego-pole, Husserl writes, “is not a piece of the world; and if he says ‘I exist, ego cogito,’ that no longer signifies, ‘I, this man, exists.’ No longer am I the man who, in natural self-experience, finds himself as a man” (1973, p. 25). In other words, the transformation of perspective that Husserl is positing, and indeed claiming as a lived-experience, is more profound and has far deeper implications that those acknowledged by Moustakas. We see that the empirical ego, “I the man,” is the point of departure for transcendental phenomenology, not the object of transcendental phenomenological praxis. Having enacted the reduction I discover that I am witnessing, “I the man” from a different standpoint. Phenomenology obliges us to take this shift in perspective seriously, to recognize that the I who can bracket his empirical self does so from a standpoint beyond the facticity of the empirical ego, and it is this standpoint Husserl terms transcendental. As I’ve noted, Moustakas mistakenly equates transcendental subjectivity with the presuppositionless state aimed at through performance of the epoché, defining the transcendental mode of consciousness as the “person who is open to see what is” (p. 45). In fact, this statement makes an ontological and psychological claim that is diametrically opposed to Husserl’s philosophy, properly understood: the epoché requires setting aside the question of “what is” in order to explore how presences are present. Moustakas’ aim seems to be self-actualization, personal openness, and authenticity. Moustakas’ discussion of phenomenology as a means of rendering the individual authentically present in their personal self-hood can only refer to the psychological, not the transcendental mode. Of course, phenomenology is not opposed to personal openness and authenticity! But once the transcendental reduction has been employed, one is not in the “personal” realm in the sense normally meant by contemporary clinical psychology—and in fact, the magnitude of that shift is unaddressed by Moustakas. Nor, as Moustakas seems to imply, is transcendental subjectivity a possession or a tool of the empirical self. As Kohák (1978) remarks in his commentary on Husserl’s Ideas I, “I do not ‘have a transcendental ego’” (p. 181). Rather, one recognizes the transcendental mode of subjectivity by means of a disciplined, systematic practice of bracketing. 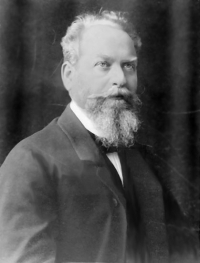 Husserl describes not one but multiple kinds of phenomenological reductions, each with a specific and nuanced meaning: for example, eidetic, phenomenological-psychological, intersubjective, and transcendental reductions. Moustakas neglects to acknowledge these differences and therefore blurs Husserl’s distinctions between the various modes of consciousness. For example, according to Husserl, in order to examine psychic subjectivity, the researcher must perform a phenomenological-psychological reduction, suspending the “taking-for-grantedness” of psychological phenomena. In the psychological reduction, Husserl wrote, “psychic subjectivity, the concretely grasped ‘I’ and ‘we’ of ordinary conversation, is experienced in its pure psychic owness” (1927/1973, p. 62). But for Husserl, it is the “transcendental” reduction that allows transcendental subjectivity to stand out. By omitting the distinction between the psychological and transcendental reductions from his discussion and characterizing his work as transcendental, Moustakas not only misconstrues the transcendental dimension of Husserl’s phenomenology, but mixes this misunderstanding with a more broadly humanistic clinical perspective. How Is This Handled in Giorgi’s Research Approach? For Husserl, the psychological reduction is the means of access to psychological structures of consciousness, whereas the transcendental reduction is the means of access to transcendental structures. In Giorgi’s approach (2000), this issue is handled through a choice to seek psychological and not transcendental structures and hence to employ the psychological, not the transcendental reduction. What this means is that “only the objects of the experience are reduced, not the acts” (Giorgi, 2000, p. 65). Using the psychological reduction, the facticity of the empirical objects described by the participant is bracketed, but not the facticity of the psychological subject. That is to say, “the acts are considered to be correlated with an existing, world subjectivity” (p. 65). The approach remains a psychological one because the participant’s empirical ego, the individual psyche, is regarded as a fact rather than bracketed and regarded as an instance of transcendental subjectivity. Moustakas’ driving interest appears to be psychotherapeutic work with individuals. But Husserl’s investigations are philosophical rather than therapeutic-psychological. Husserl’s work requires painstaking study and then careful modification in order to be applied in clinical or scientific contexts. For an example of a carefully thought-through clinical application, I would direct readers to Davidson and Solomon’s (2010) chapter, “The Value of Transcendental Phenomenology for Psychology: The Case of Psychosis” in The Redirection of Psychology: Essays in Honor of Amedeo P. Giorgi. Davidson, L. & Solomon, L. A. (2010). The value of transcendental phenomenology for psychology: The case of psychosis, in The Redirection of Psychology: Essays in Honor of Amedeo P. Giorgi, T. F. Cloonan and C. Thiboutot (Eds.). 99-130. Circle Interdisciplinaire de Recherches Phénoménologiques. Fink, E. (1970). The phenomenological philosophy of Edmund Husserl and contemporary criticism. In R. O. Elveton (Ed.) The phenomenology of Husserl: Selected critical readings. pp. 73-147. Chicago, IL: Quadrangle Books. Giorgi, A. (1970). Psychology as a human science: a phenomenologically based approach. New York, NY: Harper & Row. Gupta, B. (1998). The disinterested witness: A fragment of Advaita Vedanta phenomenology. Evanston, IL: Northwestern University Press. Kohák, E. (1978). Idea & experience: Edmund Husserl’s project of phenomenology in ideas I. Chicago, IL: University of Chicago Press. A version of this post was previously published on PhenomenologyBlog.